Police sources have confirmed that 43-year old Michael Persaud who attempted suicide on Wednesday after he was remanded to prison at the Georgetown Magistrate’s court, succumbed hours after the incident. 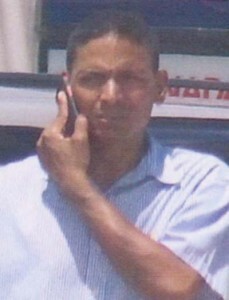 Persaud, a father of two was remanded to prison for several counts of fraud, by Chief Magistrate Ann McLennan. According to Police the man who lived at lot 15 Public Road, Herstelling, East Bank Demerara, had previously been granted bail but had it revoked on Wednesday by the Magistrate who remanded him to prison. It was after Persaud made his appearance before the Magistrate that he ingested a poisonous substance, which was concealed in a bottle. He was subsequently seen vomiting by ranks of the Police Force who rushed to his rescue. It was there that they realized that he had consumed the substance contained in the bottle. Ranks were able to secure the bottle and immediately rushed him to the Georgetown Public Hospital Corporation (GPHC). Police sources confirmed on Friday that the man died hours after he arrived at the hospital. It is still unclear how the man managed to obtain the substance even though he was in police custody. In January of this year, police issued a wanted bulletin for Persaud and one GunrajRaghubir of Kitty to answer charges of fraud. Between July 27 and August 27, 2013, Persaud incurred a debt of $234,000 after he rented an automobile from Mandy Burrowes, which he never paid. Then Chief Magistrate PriyaSewnarine-Beharry gave Persaud strict orders to make the payment of $115,000 commencing the day of her ruling. He was then placed on $50,000 bail.